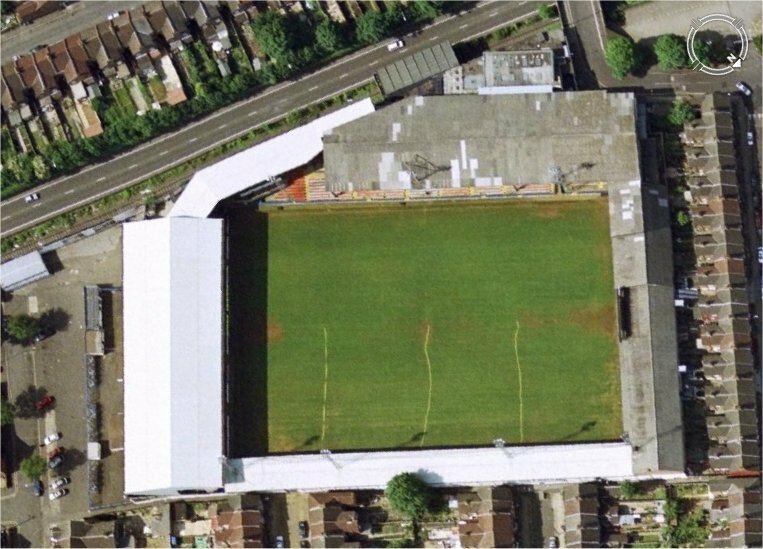 Luton Town football books and dvds and a virtual aerial tour of Kenilworth Road. Great books about current and former Luton Town players and Luton Town managers and the history of Luton Town football club. Click here for directions to Kenilworth Road, where to park near the ground and recommended pubs and places to eat and visit near Kenilworth Road. This book chronicles the fortunes of Luton Town from their promotion from Division Four in 1967/69 up to season 1997/98. The rise and fall of the club in that time gives the book scope to interest any football fan. To be honest though, it really is best used as a reference book for a Luton nut. Each season is reviewed, with a 'match of the season' for each. There are several black and white photos showing great players and moments from the past. The best part for the obsessive, however, is the statistical section at the back, with details of every game played by the Hatters during the years covered. The level of detail in this section leaves no questions to be asked and even gives a short summary of each match. The book works because it is written by a man who is as infatuated with the team as any reader could be. Everything you could want to know is there. The book takes the form of a chronical of LTFC throughout the author's match attending experience. It tells of the first match, an unforgetable experience to any soccer fan, and particularly, as in my case, your team wins comfortably. The highs are monumentous. The author clearly cannot contain his delight at the '88 cup win over the mighty Arsenal. The lows...well...there are lots of them, mostly dealt with in a philosophical way, but quite often the author's sense of raw inevitability at his team is palpable. Overall, this book makes a great read. Despite containing all the local jokes and family references you'd expect from a provincial writer departing on his first journey with pen and paper, every fan in the world will see paralells to his own team. Tim deals with serious issues such as football hooliganism and the over-commercilisation of the modern game in a rational yet emotive manner. Highs and lows in the history of Luton Town as told to a young female fan. Kenilworth Road home of Luton Town football club. Directions to the ground, where to park, recommended pubs and places to eat and visit. Plus a virtual aerial tour of the stadium.